Over the last few months, we’ve covered topics ranging from selecting a mobile data collection vendor to managing your fleet of devices. One of the major challenges with implementing a mobile data collection solution is overcoming your staff’s resistance to change. Imagine that you’ve selected a mobile data collection vendor, you’ve figured out the devices, you’ve had staff involved with the selection process, and now it’s time to implement the solution and train everyone. As training is conducted you find that people have aligned themselves with one of three groups. You have the early adopters who embrace the new technology and are excited about the change. Then you have the people who are concerned with the change but go along with the flow. Finally, you have the technology laggards who express frustration over the new changes and how it will make their job much more difficult. Even after you explain that things will be better with the new technology, this voice is louder than the rest and staff cynicism sets in. The success of the solution is at risk, and you feel defeated. This scenario arises all too frequently with these types of projects. It is why it’s important to consider change management early in the process. Moving to mobile data collection is a cultural shift that not every organization is ready for, but if you incorporate change management early in the planning process you can overcome the potential backlash from employees that are not ready for any change and ensure project success. Competitive pressures, market changes, regulatory requirements, and other external forces are pushing companies to embrace organizational change in order to remain profitable. 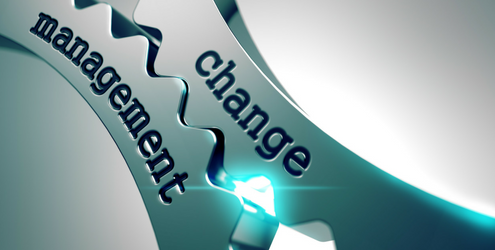 Organizations that are successful in implementing change take a calm, measured approach to change, and embrace employee involvement early in the process. Using this approach, you help your staff acquire new skills, innovation is embraced, and your company’s profit margins will grow with the positive influence of change. Moving to mobile data collection is not a trivial undertaking and should be managed like any other project you’ve taken on. We’ve discussed best practices for mobile data collection and the steps to success. Building the strategy and tactical plan is a good start, but you need to be able to manage the cultural change and clearly articulate why you are moving to mobile data collection in a clear, concise manner to all stakeholders. From management to staff, everyone needs to know their role and understand the impact to their role/job function. You don’t need agreement, but you do need alignment on why you are making this change. In the end, everyone should understand the drivers for the project and the expected outcomes. These could include empowering staff with modern tools to make their job easier in the field, reducing office overhead, increasing the visibility of fieldwork, and getting reports completed. Once you have staff aligned with your plans, engage them early in the project and provide them an opportunity to contribute throughout the process. This will allow the team to give feedback before the solution is finalized, thereby minimizing the employee backlash that occurs when the training session is the first exposure to the solution. No matter how hard you try, you can expect that there will always be someone that will be resistant to change. However, the more people you get on board with the new process, the easier it will be to overcome the objection of these laggards and end up with a successful solution that everyone buys into. Finally, as you deploy your new mobile data collection project, you will need to find a way to manage and incorporate the feedback your team provides on the solution. As you start seeing the benefits of mobile technology, you might want to jump in and start changing things right away based on that feedback. Take the time to let the first wave of feedback, feature requests, and bugs to settle, then start managing and prioritizing these change requests. Review the requests with a group of staff members to ensure that you are not introducing a change that could negatively impact all staff just to satisfy one person’s request. Change management can be a challenge for any organization, more so if not handled properly. Remember to plan early, include key stakeholders, gain alignment with your plan, and collect feedback throughout the project planning process, and roll out the solution carefully. Most of all communicate, communicate, communicate! It’s much easier to put the effort in early to ensure that change is accepted with less resistance and that your project will ultimately be a success! I’d love to hear more about your projects and the challenges you’ve faced with change management and going to mobile. Please feel free to contact me anytime if you have any feedback or questions about how we can help with your change management challenges.